Can't sleep so getting an early start with another bowl of Wessex Sovereign Curly Cut from 2003 in an Edward's 713-L Apple. This stuff grows on ya !! Chicory Coffee N'Awlins style on the side ! 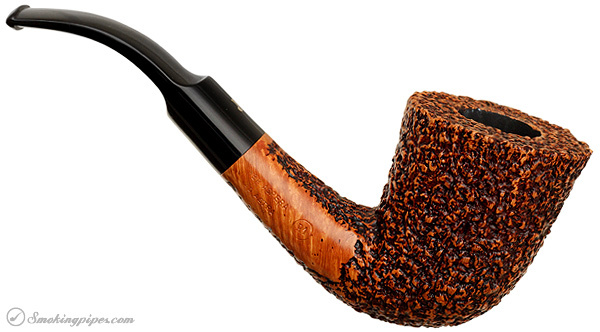 Stanwell Melange in a rusticated Peterson Sherlock Holmes Deerstalker. Camel non-filter between my two fingers and of course a cup of Joe. Yeah, yeah, yeah, I know I suppose to be quitting but, I'm still down to one a day and I only smoke 1/2 of it. 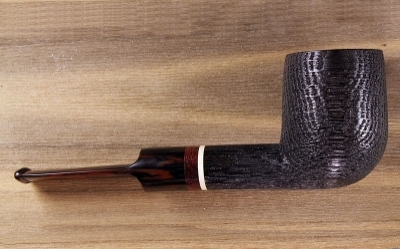 Luxury Navy Flake in a Savinelli Punto Oro bent sanblasted billiard. when I 1st returned to pipe smoking, I tried this and found it pretty overwhelming. Now, after enjoying years of Lakelands, plugs, and ropes, I wouldn't say this is tame, but it's now much more enjoyable. I'm starting the day off with Stonehaven from '09 in the Davorin Morta Billiard with a huge mug of Ethiopian Amaro natural coffee. 4-Noggins Killington in a straight grain bent Dublin with a rusticated rim by Briar Spirit Pipes. Popped a tin of McClelland PCCA Tudor Castle this AM, enjoying it in an Astley Charatan-Make 8-panel cumberland quarter bent dublin. Damned good stuff, this. Rum and Maple Match in a MM Diplomat - outside doing some chores.....it's a beautiful day today 50's! Sunny! PS Balkan Supreme in a Comoy's Royal Guard billiard. First smoke in about a week, Smokers' Haven Exotique in a Growley half blasted natural rhodie.